Custom kit made for ZACH PEACH of Sensual Saint and This Is Radiation. 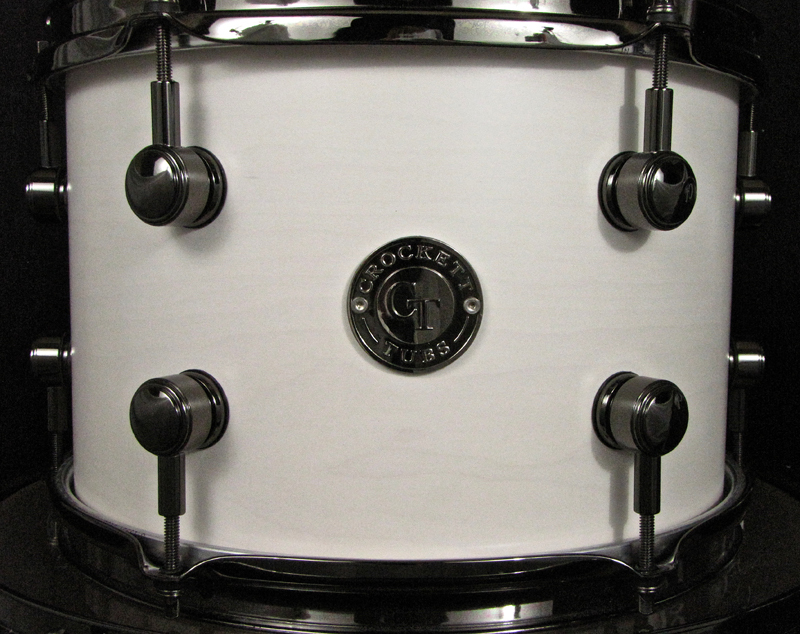 A Players Series Maple kit in White Satin Stain with all black nickel hardware. 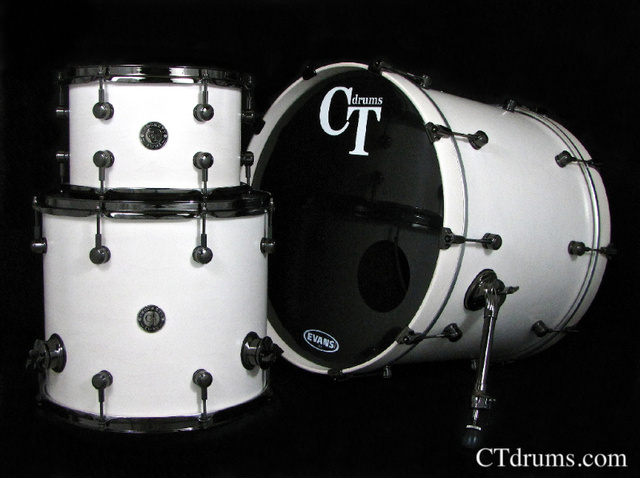 We custom fitted this kit with GN Single Point lugs along with pro spurs, 2.3mm triple flanged hoops, die cast claws, and heavy duty round brackets on the floor tom. This kit sounds as amazing as it looks! Just ask Zach! You will hear this kit on their next album due out soon, and see it on the road on their followup tour.